It’s spring time, and this year I was inspired to start a deck garden. As much as I talk about healthy/sustainable living, it is time for me to put my money where my mouth is. I have a ways to go to completely turn my home into a place I can completely brag about. Especially when it comes to plants. 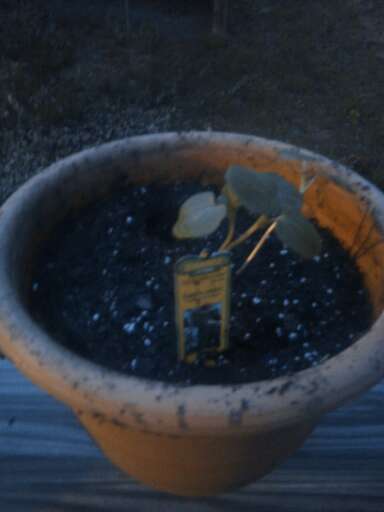 I haven’t had much of a green thumb, exhibited by the couple of plants that haven’t made it. It never made sense that it didn’t come naturally, though, because my parents and grandparents are great with plants, so I thought to myself, ‘Self, you are a quick study. 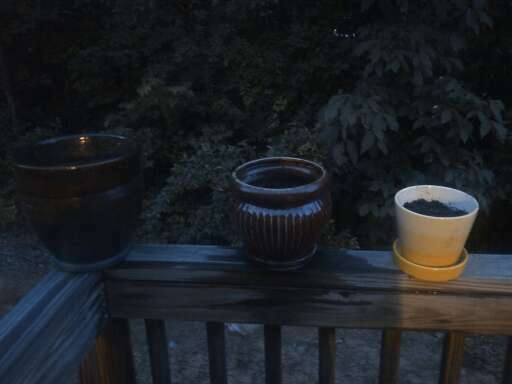 If anyone can figure this gardening thing out, you can.” So I scoured the internet and read as much as I could find about deck/container gardening. I also got some great tips from my friend Sylvia who started gardening last year. 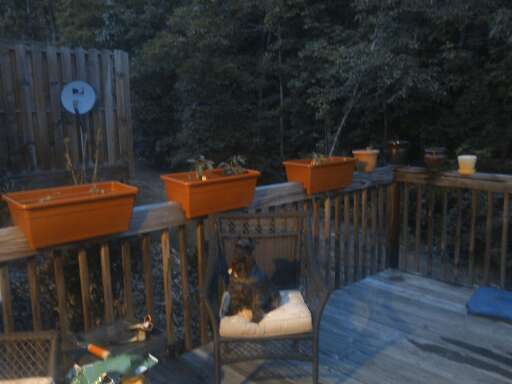 On Friday, I was excited to see my deck railing planters sitting in their box on my doorstep. I went to Home Depot and picked up all the items on my list that I needed to get started. Saturday, the time had come. 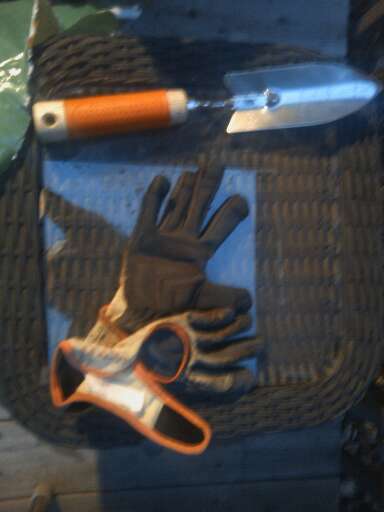 I put on my gardening gloves and got started. Now for the veggies I planted, I decided to start with seedlings. I wanted to make sure I set myself up for success. Along the way, I gained inspiration from my fajita bell. When I got home from the Swapnista Party, which I’ll blog about later, she was kinda withered looking (I wish I had taken a picture). But not too long after she got her new home, she started looking even better than when I bought her yesterday. That really got me revved up and ready to continue this adventure. 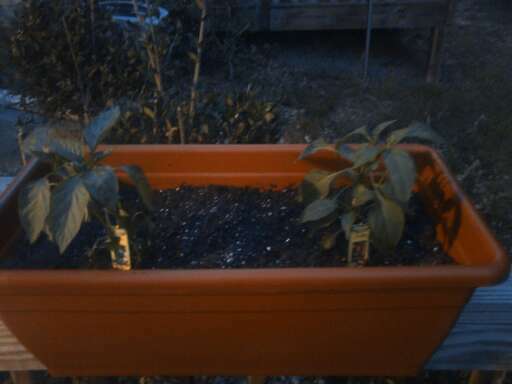 I used potting soil with fertilizer already in and I will just have to make sure I give my plants some food from time to time (and of course, water them regularly–that will be the real challenge when I start traveling this summer). Crookneck Squash. I'm a little worried about the one on the right. The rest of my plants, since I am experimenting, are starting from seeds. The strawberries and the flowers will be interesting to watch. 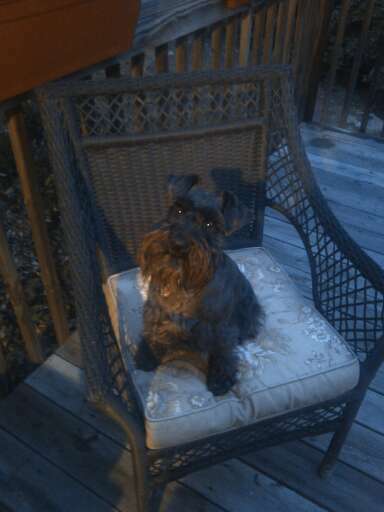 If I’m super successful, I may end up having to build an long, elevated (Smokie will eat them if given the chance) gardening area out there. 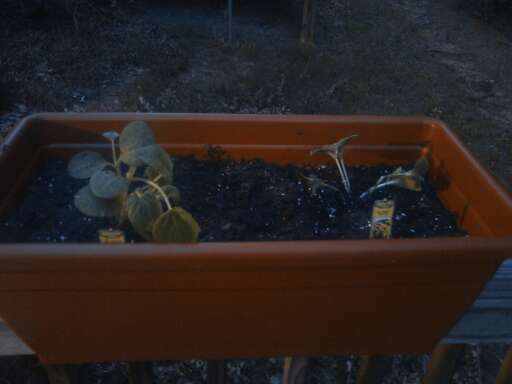 I already know that it’s totally possible for my veggies to outgrow the containers, but we’ll see when we get that far. I’ve gotten the initial steps out of the way. So now it’s time to tend my gardens and wait for the harvest. I really can’t wait to see what happens. Maybe I’ll host a 1st harvest party and cook a little something for my friends with my fresh veggies. We’ll see. 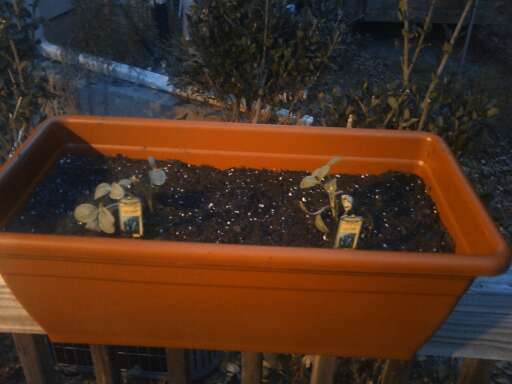 So in honor of the spring and of my new deck garden, my blog is now green. 🙂 I’ve finally planted my veggie seeds, and now I need to take an inventory of the life seeds I’ve planted. What seeds are you planting this season?